I'm back with my second last-minute project of the day for Thanksgiving. 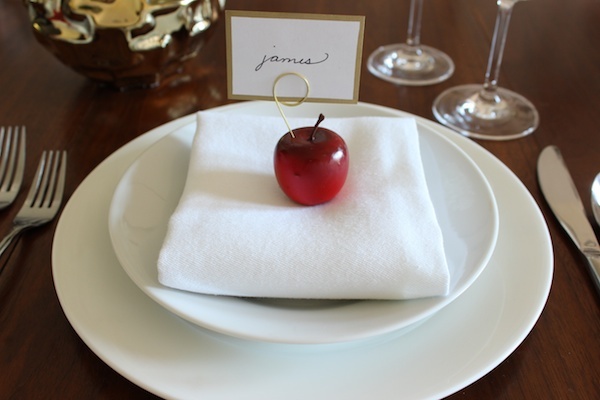 If you think that last year's mini apple placeholders were easy, I've managed to make it even simpler this year. 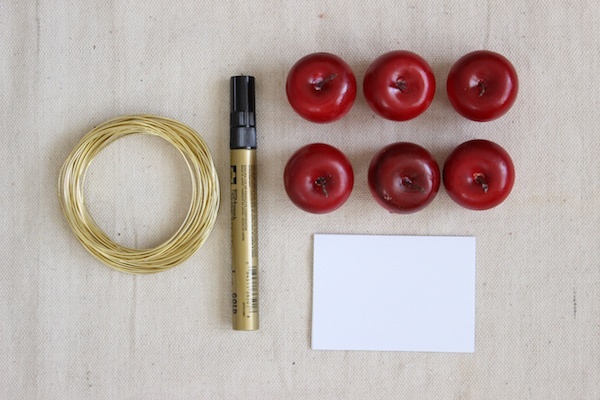 Run to the craft store, grab a bag of mini styrofoam apples, meet me back here, and read on for the how-to. 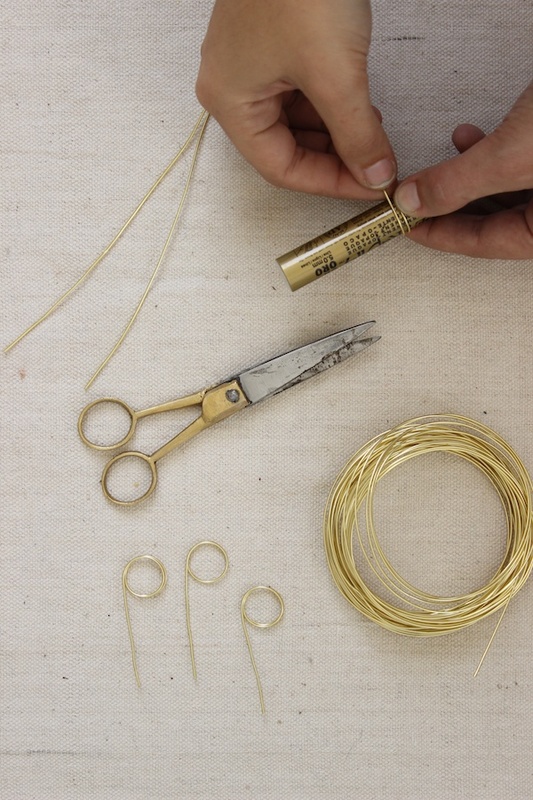 Wrap the ends of 4" lengths of wire around the paint pen a couple of times. 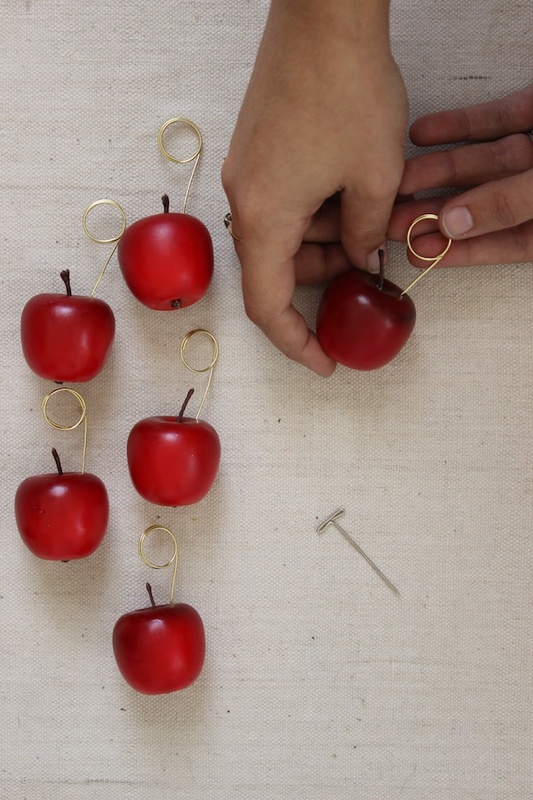 Poke the opposite end of each wire into a mini apple. 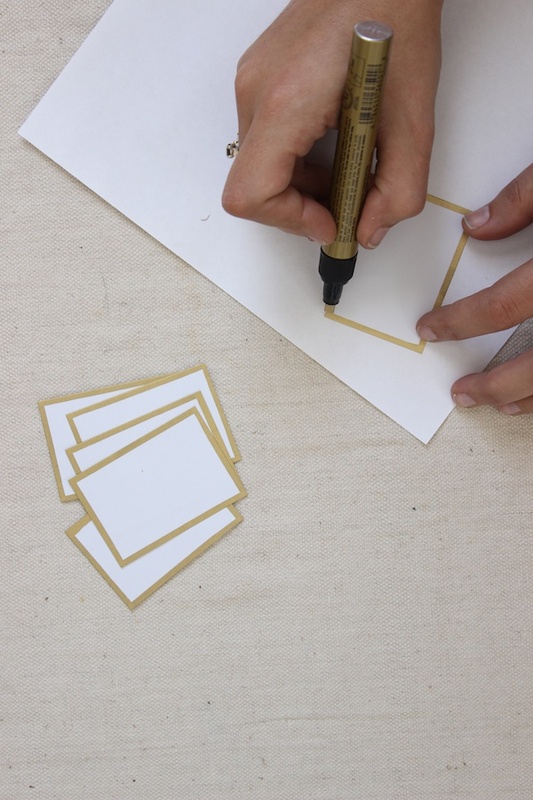 Make it easier by using a straight pin to poke a guide hole first. 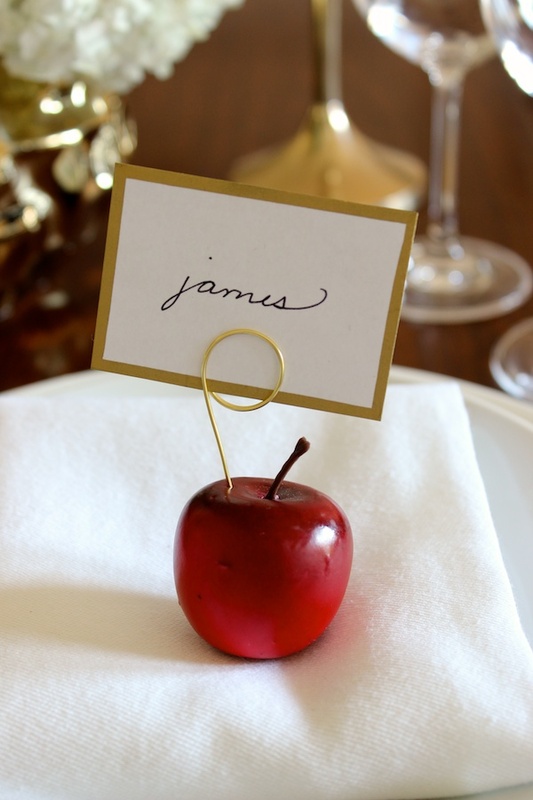 Add a little glamour by swiping the edge of each placecard with a gold paint pen. 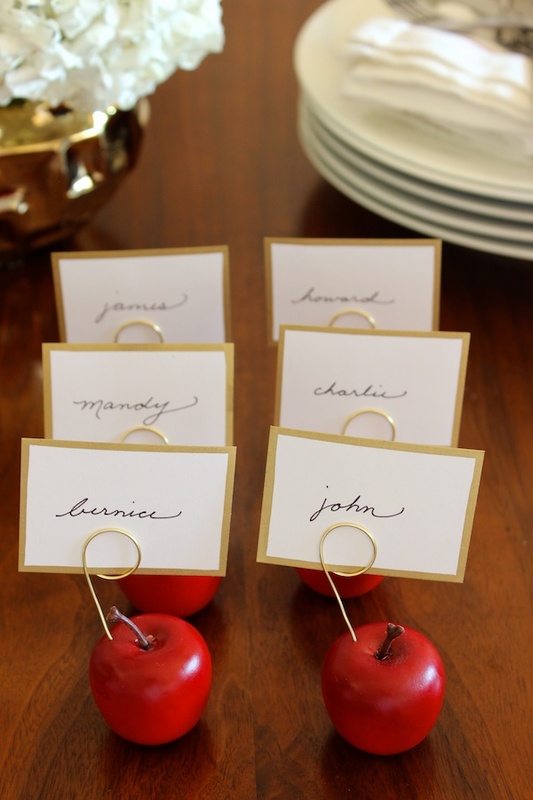 Add names and slip them in the wire holders. See. So. Freakin'. Easy. Oh, and adorable.